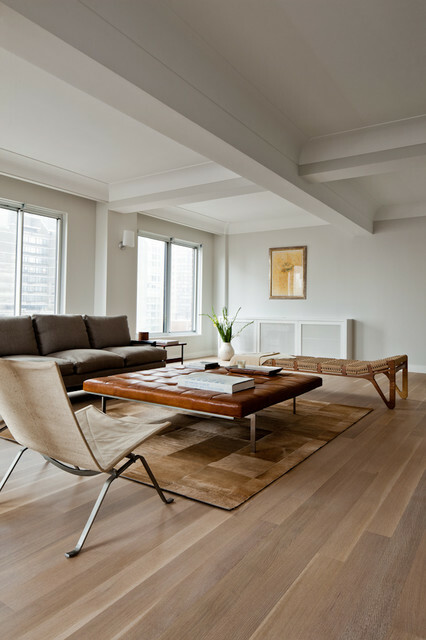 Could you tell me name of wood floors? What is the finish on the wood floors Color etc. thank you. i am looking for a really really really light gray in benjamin moore and it's very difficult. do you have a go to? Hello Alelier, what is the brand of the stain and water base finish? I would be interested in knowing which stain and finish were used too. The floors look great. I love those Rift Sawn Only floors! Thank you for your question, we are glad you like the flooring! Could you please share the brand of light grey stain - Could you please share the brand of the light grey stain and the ultra matte water based brand used here? Please. Thank you. 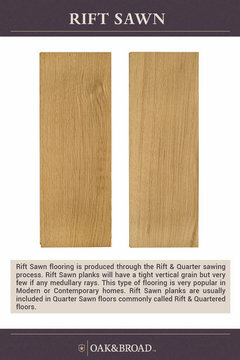 Thank you for your question, for technical questions please contact Drew at Franklin Hardwood Flooring. Rug info? - Can you share who makes the rug? This rug is by Sacco, see link below. Trim color? - Which color is the trim? The wall color is Benjamin Moore Silver Satin. Hello, who makes the leather coffee table? Wall color - Could you tell me the name of the wall color? Thanks! Ottoman table - Where is it from? Where can I find the coffee table?! - Beautiful need help find. Great Looking Floors. Are they Clear or Select grade? Bench - Hi there, what's the brand of the rattan-like bench and where did you get it? Love it! Many thanks!